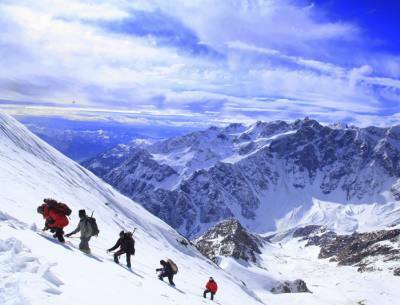 Nepal Himalaya Mountaineering Expeditions offers interested adventurer and mountaineers with fascinating challenges where you can achieve adventure of lifetime experience, as Nepal captures world's 8th highest above 8,000 meters peaks with famous other lower 7,000 m and above 6,500 m mountains. 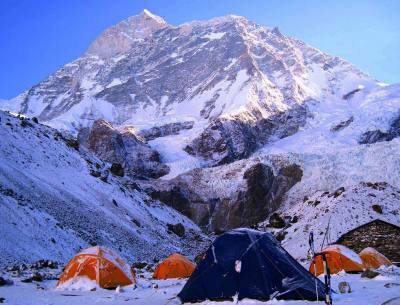 Nepal Himalaya Mountaineering Expeditions where you can have lots of choices as we run and manage all ground handling offering you with quality services of excellent camping equipment with expert climbing guides and high altitude cooks and porters to make your lifetime dream a huge success. 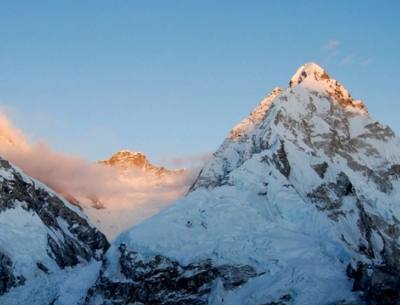 Nepal with so many eight Thousanders meters from world's number one highest Mt. Everest 8,848 m / 29, 028 ft, 2nd highest Mt. Kanchenjunga 8,586 m /28,169 ft, 4th highest Mt. 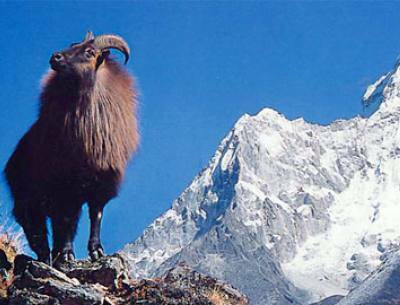 Lhotse 8,516 m / 27,940 ft, 5th highest Mt. Makalu 8,463 m / 27,766 ft, 6th highest Cho-Oyu 8,201 m / 26,906 ft, 7th highest Mt. Dhaulagiri 8,167 m / 26,795 ft, 8th highest Mt. Manaslu 8,163 m / 26,781 ft and the last tenth highest massive Mt. Annapurna 8,091 m / 26,545 ft. from past 1955 elevation of Mt. Everest at 8,848 m /29,028 ft was revised on November 11th 1999, and now stands at 8,850 m / 29,035 ft. 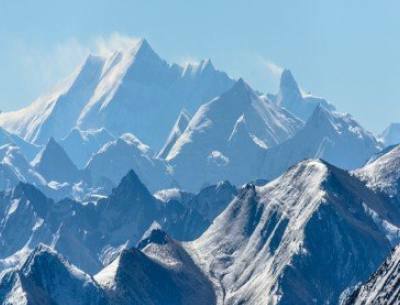 Besides 8,000 m peaks we have 7,000 meters like Mt. Ganesh-Langtang Lirung, Mt. 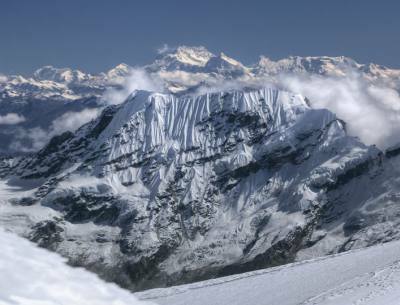 Pumori-Gangapurna-A II – A III and Api Himal and many other expeditions to choose with above 6,500 m altitude peaks.